Everyone’s mouth is unique. Additionally, everyone has different needs, motivations, and goals for their mouths. Some people have more dental concerns than others. Some patients have medical concerns that influence the health and longevity of teeth in the mouth. Sometimes there are a few different ways to address the same dental concern. For example, if a patient is missing a tooth between two healthy teeth, there can possibly be three long-term restoration options for that patient—a dental implant, a dental bridge, or a partial denture. Each of these options may offer benefits that another option may not. This is why it is so important to look at the big picture with each patient when possible. Ideally, a comprehensive treatment plan is developed with every new patient. Some people may have no cavities and excellent gum health, so only a dental cleaning and oral examination (checkup) once or twice a year would be recommended. 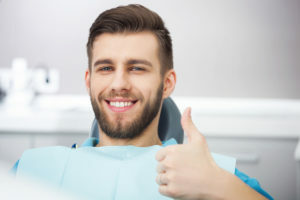 Other people may have extensive cavities and dental concerns that they have been putting off for months or years; barriers such as dental anxiety and cost can be huge deterrents for visiting a dentist. Whatever state of health that your teeth are in, Dr. Street and his staff are willing to spend as much time and effort as needed to help you achieve your dental goals. Address the patient’s main concern first, whenever possible. If a patient has tooth pain, Dr. Street’s first goal will be to relieve or remedy the problem. Achieve optimal oral health and eliminate infections in a timely manner. Provide solutions to any additional dental needs or goals for all patients. This may include anything from tooth whitening to dental implants, to orthodontics. Whether you’re a new patient or a patient who has been with us for a long time, Dr. Street and his staff want you to have the best smile and oral health possible. Dr. Scott Street and the team at T-Town Smiles provide quality dental care to Tulsa residents. To schedule an appointment with your Tulsa dentist at T-Town Smiles call (918) 488-9770 today.